Spotify, the largest global music streaming subscription service, officially launched in South Africa, offering a revolutionary and unrivaled music experience tuned to your personal taste. With a worldwide community of over 159 million music fans, Spotify offers users the choice of a free ad-supported service or an ad-free Premium subscription service. Users can listen for free forever, or alternatively can upgrade to Spotify Premium for the ultimate Spotify experience for only R59.99 per month*. Spotify allows you to browse, discover, curate playlists, build your own music collection and share music with friends. 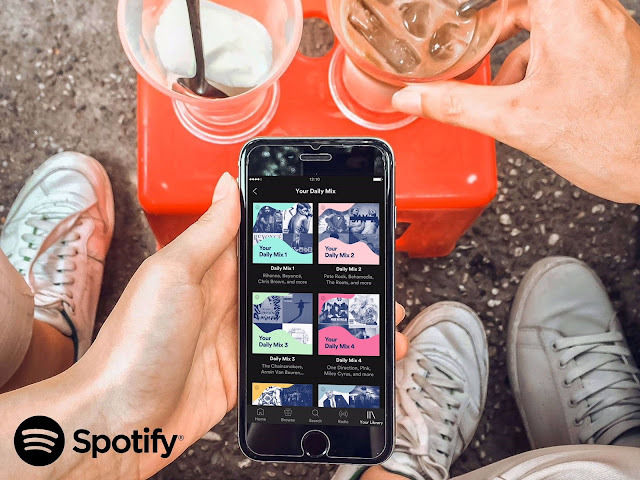 With a catalog of over 35 million songs all available to both free users and subscribers, Spotify comes to South Africa offering the very best in both local and international music. “Spotify is very excited to announce our launch in South Africa today. We have had the continent in our sights for a while and are finally able to offer South African fans access to all the music they already love on Spotify, while helping them to enjoy, discover and share new music from both local and international artists simply and easily,” said Michael Krause, Spotify MD, EMEA. Spotify delivers music for every taste and mood. South African users have instant access to a wide range of local playlists expertly curated and regularly updated by our team of music experts, including Hip Hop Juice, Top Hits South Africa, House Nation, iGqom Le and SA Gold, alongside millions of Spotify and fan-built international playlists. A major feature of the Spotify service is its personalization, which allows fans to find the music they already love with ease, and will also help them discover new music and artists to love, based on their taste and listening patterns. When a new user joins Spotify, we take them through a ‘Taste Onboarding’ process, which helps Spotify quickly learn more about your music tastes. Personalised discovery features including Daily Mix (a series of playlists combining your favourite tracks with new songs we think you’ll love), Release Radar (a playlist of new music based on the artists you follow and listen to most, updated every Friday) and Discover Weekly (a playlist based on your unique listening habits - coming soon) mean you’re never more than a moment away from the music you love. With Spotify available on PlayStation Music™, you have a special way to enjoy streaming music on your PlayStation 4 while gaming. You can listen to any song, album or playlist on demand, or even control Spotify through the Quick Menu without interrupting the game. Mood and genre playlist hubs: head to Browse to choose from wide range of hubs including Workout, Chill, Party, Focus, Gaming, Sleep, Dinner, Kids and many more. Automatic low bitrate streaming in South Africa: Spotify’s default setting for data streaming in South Africa is 24kbps, perfect if you’re streaming when not on wifi**. Offline listening for Premium users: simply ‘download’ your music to your mobile device or desktop when you’re online to enjoy while you’re offline. High audio quality for Premium users – up to 320 kbps. Charts: Global streaming charts. South Africa charts coming soon. Listen everywhere: Wi-Fi and Bluetooth speakers, Amazon Echo, Sonos, Bose, TV, Google Chromecast, Sony PlayStation®4 and PlayStation®3 consoles, Microsoft Xbox, Samsung, Google Home, Waze, Carplay and many others. Background play: the music never stops on your mobile, even when you run the app in the background. In addition, Spotify has delivered more than €8 billion to the music industry since first launching in 2008. Following the South Africa launch, and the launches are in Vietnam, Romania, and Israel, Spotify is now available in 65 markets worldwide. Enjoy a 30-day free trial when signing up for Spotify Premium with a credit or debit card. To give you a comparison, Spotify uses 10.8 megabytes per hour of data while streaming music, compared with 43.2MB per hour as the lowest reported data consumption rate available to other music streaming services, according to Android Central.